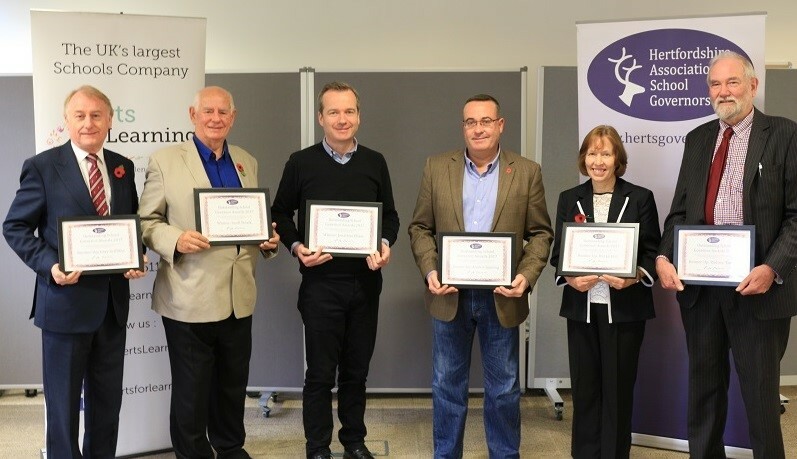 The HASG are proud to reveal the Winners of this Year’s Awards which were presented at the Hertfordshire Governors Annual conference on Saturday 11th November at Robertson House Stevenage. John Carpenter – St Nicholas School, Stevenage. Andrew Gunning – St Paul’s CofE Primary & Nursery School, Hunton Bridge. Unfortunately John Carpenter could not attend the ceremony and his certificate was collected by a fellow governor from the school. The Winners’ schools receive a prize of £1,000 and each of the Runners-Up schools a prize of £250.